How cute are these individual sweet pies? 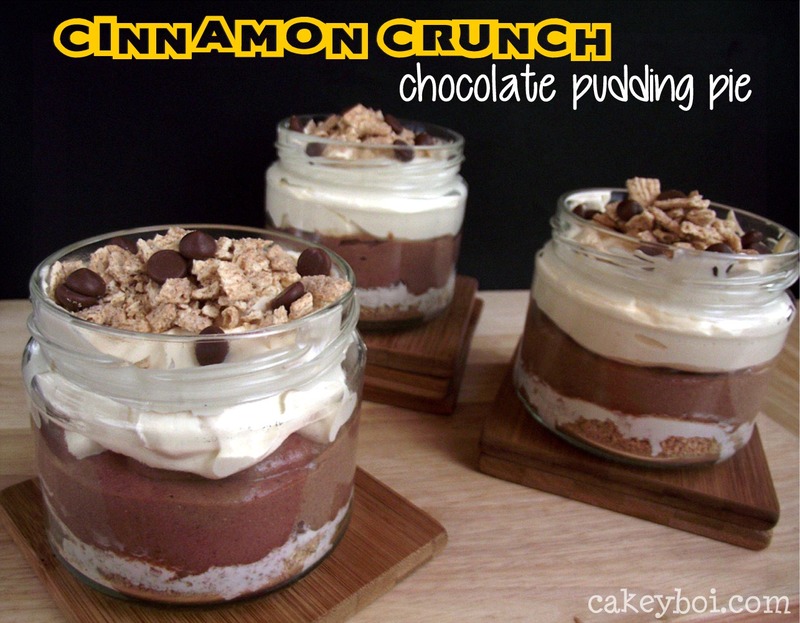 They are a cinch to make and are a great way to use all those leftover dip jars! I usually have a few dip jars waiting to go into the recycle, but why not give them a wash (a very good wash, we don’t want jalapeno pepper flavour pies now) and put them to good use! I made the bottom crust from some crushed Cinnamon cereal mixed with melted butter. Then I put a layer of marshmallow fluff, some choc chips, then some instant Chocolate pudding mix on top, followed by whipped cream and more choc chips and crushed cereal. No baking required! For the cereal crust, I blitzed the Cinnamon cereal in a food processor until it was nice and fine. I added the melted butter, mixed with a fork and placed this in the bottom of each jar and pressed it down firmly. I popped these into the fridge to set. I then added a heaping dessertspoonful of Fluff to each jar, letting this settle over the crust, before sprinkling some choc chips on top. For the pudding layer, I used Angel Delight made with a third less milk than recommended to get a nice thick consistency. I spooned this into the jars and placed the jars into the fridge to chill, about 10 minutes. 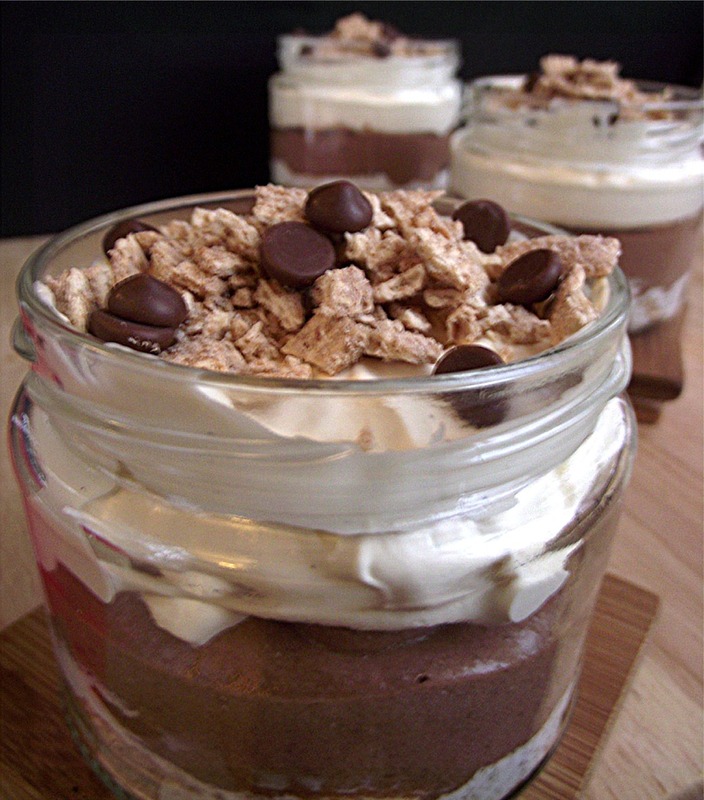 I then whipped the cream, before spooning into each jar and topping off with more crushed cereal and choc chips. The buttery cinnamon crust goes well with the thick chocolate pudding and the choc chips add a nice crunch against the smooth whipped cream. Enjoy…how could you not? They look lovely and I know with all those yummy ingredients they taste great, too! 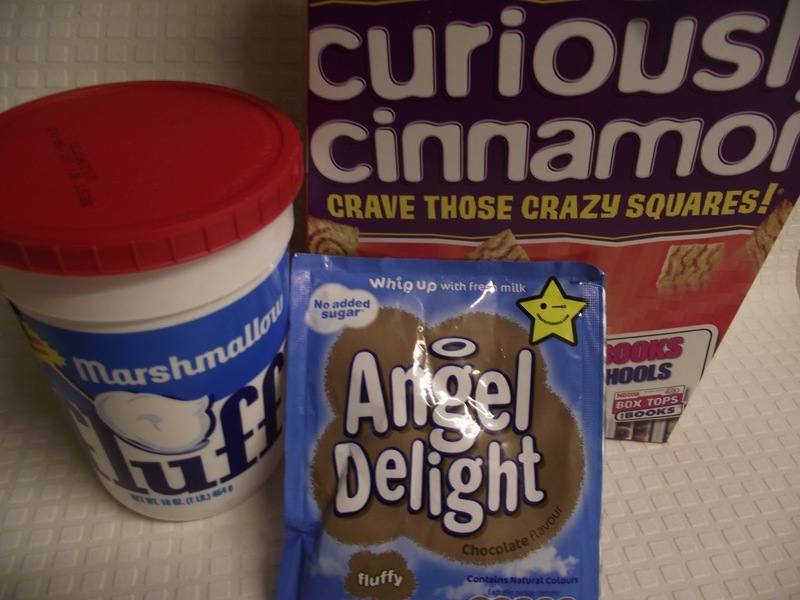 Angel Delight is so versatile - who knew?! Love the idea of using leftover dip jars! These look very tasty. 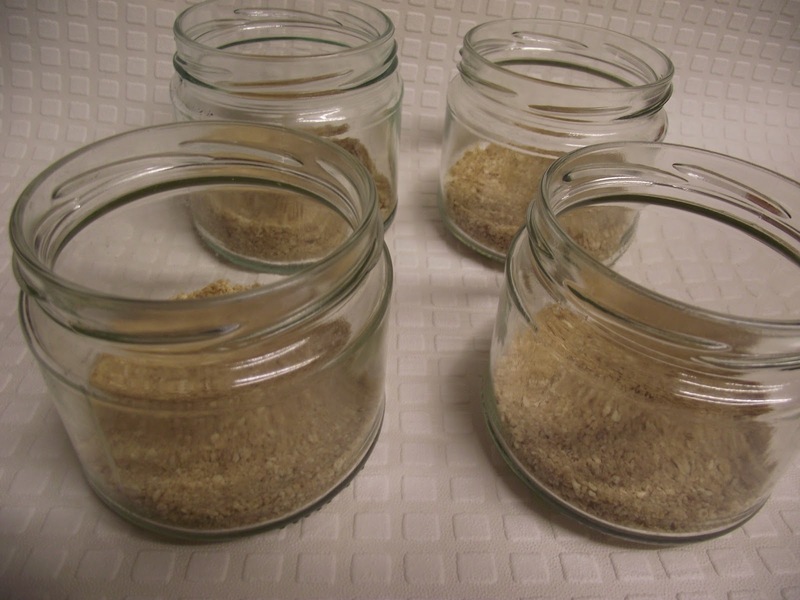 And easy Kat - the jars are great, very useful! !